There is no need to explain all the dangers of consuming processed white sugar. Today it is blamed for wide range of health problems from premature skin ageing and obesity to cancer and Alzheimer. It may be called anti-nutrient, for there is no other food ingredient, which is guilty of creating so many health problems and disorders. Still, consumption of sugar is rising faster than the world population, and sugar production is rising even faster. Mostly, it is fast and processed food to blame. Today sugar is a common ingredient in most prepared products that don’t even have sweet taste! Bread, burgers, ketchup, peanut butter, mayonnaise, French fries, bottled drinks all contain sugar. But it wasn’t always this way. The first time Europeans came in contact with sugar was in 327 BC, when Alexander the Great reached India with his army. The soldiers called sugar “honey powder” as honey was the only sweetener they were familiar with. For many reasons sugar did not take hold then. Partially, because it was so expensive, that it was called “white gold”. From the 18th century, with development of thousands of sugar cane plantations in America, sugar was gradually becoming a stock good. But not until the beginning of 20th century working class people were able to afford it freely. Still, average sugar consumption was twice less back then (90 lb per year per person), comparing to today’s statistics (180 lb per year per person). But how did our ancestors satisfy their sweet tooth? With honey, of course. Unlike sugar, raw unheated honey considered to be an elixir of health. It’s sweet taste is contributed to monosaccharides fructose and glucose. It contains vitamins, minerals, antioxidants and has been widely used since the beginning of civilization as a remedy for numerous health and cosmetic problems. Quite the opposite to sugar, isn’t it? The composition and properties of honey vary, depending on the location, available forage and bee-keeping practices adopted by the apiary. The best quality honey could be sourced from small organic operations situated far from chemical mono crop fields and produced without supplementing the bees with sugar or corn syrup. When looking for the honey, make sure that it is RAW. Heating honey alters it, making it toxic instead of healing. Other sweeteners our ancestors widely used were so called “black sugars”: molasses and maple syrup. Both are much healthier choices than highly processed refined white sugar. Black sugars could be safely used in almost all baking and cooking recipes instead of white sugar and would add a charming vintage smoky taste to the dishes. Certainly, the best honey and the most natural maple syrup come from local small farms. 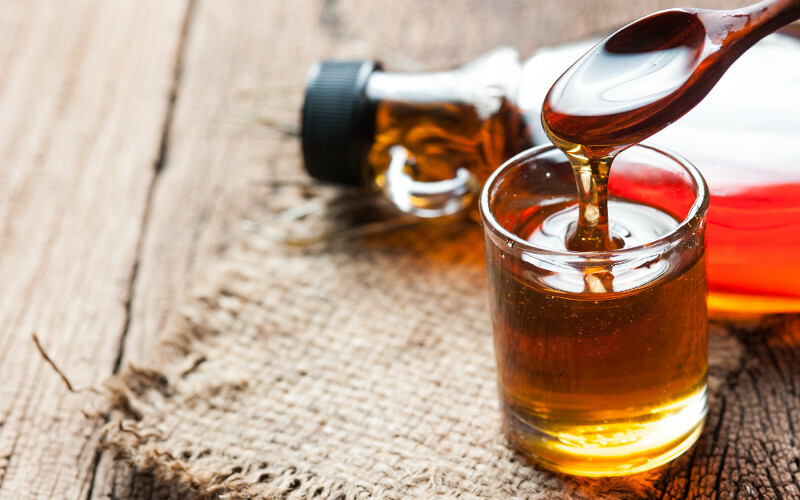 If you happen to drive by a “Honey for Sale” sign or a maple syrup stand, stop and speak with the people selling it, ask them questions, and, if you are satisfied with the answers, buy enough to stock up until the next season.